Is there anything worse then sending out a mix for review and waiting to hear back? The suspense can be killer. You want them to love it but you also understand that revisions are part of the process. And even though you know that revisions are a part of the process, hearing that they aren’t happy with the mix can be devastating and even ego bruising. A good approach that I have found is to do as much leg work in the beginning to reduce the amount of revisions, reduce your clients worry and also save yourself from having your ego tampered with. Who are you truly working for? Ask yourself this question honestly. If your answer included anything with or similar to Me, Myself or I then being a mixing engineer probably isn’t for you. It’s just not going to work out but I won’t go into that subject now, I will talk about it another time. I know as an engineer you probably think you can do it all right? Turn even the most terrible song into something enjoyable? That’s a great trait to have because it means that you are invested in the music and that you really care about your work. But truthfully, it doesn’t matter what you think you can do because if the client doesn’t like your “Super amazing – I’ve just changed the world” mix, then who cares how “good” it sounds? So if you can understand whom you are working for (ie your client and not yourself) then everything else becomes a lot easier. Always ask your client what they are expecting even before you lay down any EQ or compression. Heck, even before you load up the session. Really prod them and even try to pull out the subconscious thoughts they didn’t know they had. How long have you been listening to the rough? What popular song (or songs) do you think your song most relates to? If you have to, WRITE THEM DOWN! Asking questions will naturally lead into conversation, which then reveals to you more questions you didn’t plan to ask. This is great, because you’ll get a lot of information. These are all great clues as to the direction you need to go. Remember, you aren’t just being hired for you talent but also your ability to understand where your client is taking the song and then translate that into audio. If you understand their vision, desires and goals then they will LOVE whatever you do. Okay, maybe “obsess” is a strong word but truthfully the rough mix is a glimpse into your client’s subconscious, so you better pay attention to it. Have you ever done a mix for a client based on all suggestions they gave you before you even started? You wrote them all down or took a mental note, you then listened to the rough but realized how different the rough sounded from what they “said” they wanted. But you think nothing of it and begin to go to work. Then when you send them the mix, everything seems to be wrong and there is a revision fest. It’s because sometimes, what they say they want and what they actually want are two completely different things. This is exactly why the rough mix is so important. No matter how terrible you might think it is, remember, they are used to hearing it. It’s going to give you a clue into (almost) everything that they want out of the mix but don’t know how to explain. This leads me into a conversation that I had with Dave Pensado a few years back, even before the Pensado’s Place days. I had a client I sent a mix to and they weren’t at all happy. They actually weren’t even willing to work with me to get it fixed. They just moved on. I remember how much that sucked, it was really my first real rejection and I couldn’t stand it. So I reached out to Dave via email and we had a convo about my situation. He basically told me that not every client wants the Super Deluxe Package. Imagine if you went to the barber and told them you wanted “a little off the top”. Then when they turn you around, you see Mohawk staring at you in the mirror. You would probably be pretty pissed off. Please keep in mind that I am paraphrasing. But he’s basically saying that not every client wants a Mohawk. They don’t want the “best” of what you can deliver to them. Some will want what they gave you, but just a little bit better and others will want the best that you can possibly give to them. This is why asking your clients questions and listening to the rough mix is so important because it will give you a gauge as to whether or not they want the Super Deluxe Premium Package or just the Basics. If all else fails, then maybe it’s just not meant to be. Unfortunately not every client/mixer relationship is a match made in heaven. You might do everything in your power to understand your client and their needs but for whatever reason you just can’t musically see eye-to-eye with them. It happens to all of us and even the best of us. If you don’t think so just read my interview with Grammy winning mix engineer Phil Tan. Even he’s had to end some working relationships. The best thing to do in these situations is talk to the client and let them know that it just doesn’t seem to be working out. It’s very possible to end the relationship in an amicable way where there are no hurt feelings and both parties walk away happy. Always treat every client or non-client with the up most respect because even if it doesn’t work out you still want them to recommend you or talk highly about you. Word of mouth is still the best form of advertising. I believe you have everything you need in this article to make your clients happy but just remember that working with people is just as much of a skill as mixing itself. Your going to get your ego bruised in the beginning but you get used to rejection and revisions soon enough. But if you can do what’s laid out in this article, I am confident you will have a lot more satisfied clients. 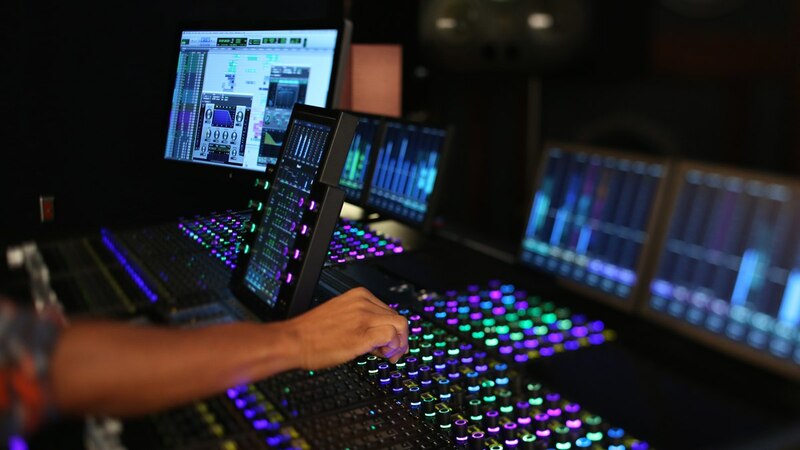 It’s not because you are some mixing wizard, it’s because you did your job to understand their needs above and beyond what you wanted to do. Now I’m not saying don’t be original. In fact, by someone soliciting your service it’s probably because they like what YOU do. What I am saying is, find out their needs and desires first and then disguise your creativity into that. If that makes any sense. Now go forth and mix your heart out.